Now in full-color! 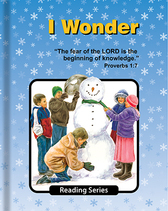 I Wonder . 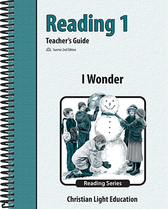 . . is the first reader in the grades one through eight Reading to Learn program. Sunrise 2nd Edition. 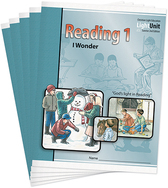 The Teacher's Guide includes answers to the LightUnits, ideas, spelling word lists, useful appendices, and alternate LightUnit tests for students who need to redo a test. 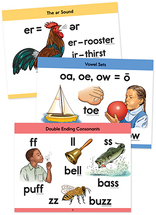 This set of eighty-eight beautiful full-color Phonics Cards replaces the twenty-three old Wall Charts.